“As a lowly grad student at UT Knoxville in the late 70s, I loved to visit Pick ‘n Grin music store where my favorite banjos were the Aria Pro II models they had in stock. I looked forward to the day when I would be able to afford one of those. In the early 80s, I traded for a flat head version from Geoff Hohwald who was then working with the Music Mart located in Smyrna, GA. 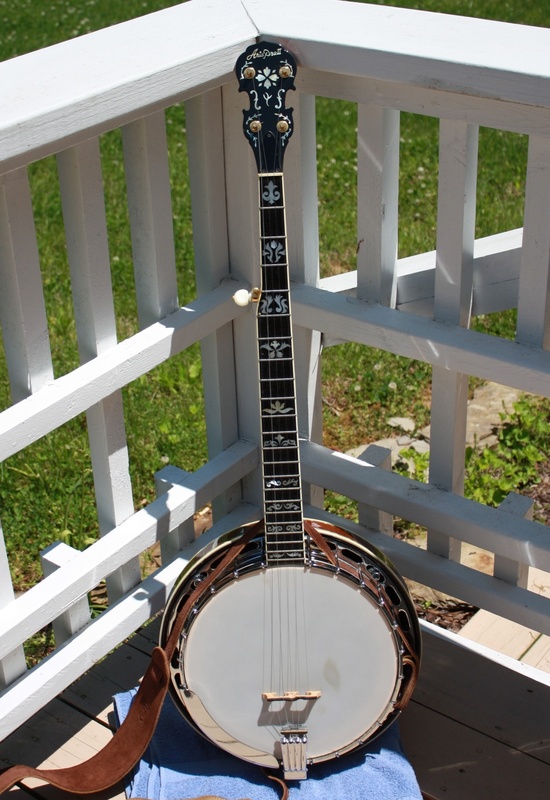 I later (1987) traded this banjo for a Gibson RB100 at Pick ‘n Grin. Truth be known, the Pro II was a better quality instrument than the mid-sixties RB100, but it was “not a Gibson!” In the mid-90s, I began my search anew for a Pro II – in particular the arch top version seen here. After a search that lasted about a year and a half, I located one through David E. Schenkman at Turtle Hill Banjos in Bryantown, Maryland. It was in excellent shape and had been played very little. I happened to be in Knoxville at that time and carried it to Pick ‘n Grin for spikes to be installed. Though it was an excellent instrument, I really felt the arch top configuration was not the best it could be and around 2005, I carried it to Arthur Hatfield to convert to a flat head configuration. He replaced the multi-ply rim with a 3 ply Cox and added one of his gold plated 20 hole flat head tone rings. Everything else was kept original. 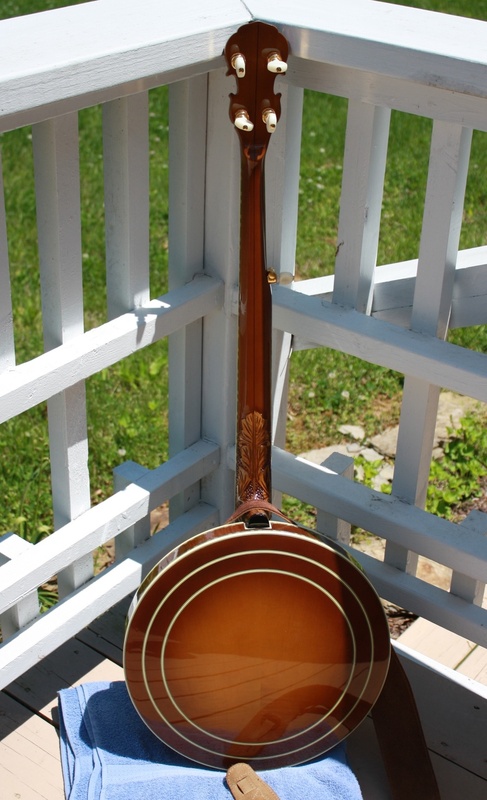 The banjo was actually a bit lighter and the sound is all one could expect from a maple flat head banjo with wood that is approaching forty years of age (neck and resonator). I also replaced the original tuners with a set of gold plated pre-two band Gotoh tuners and I like the contrast between the chrome (arm rest and other hardware) and gold plating.